This page describes macOS 10.14 (Mojave) specific information. If you have previous macOS version please refer to previous instructions. Please read our article about SIP before you decide to turn it off. After disabling SIP in recoverOS and going back to your main OS, TotalFinder should start automatically. If enabled it notifies you whenever there is a new version available. You may also check for new versions manually. 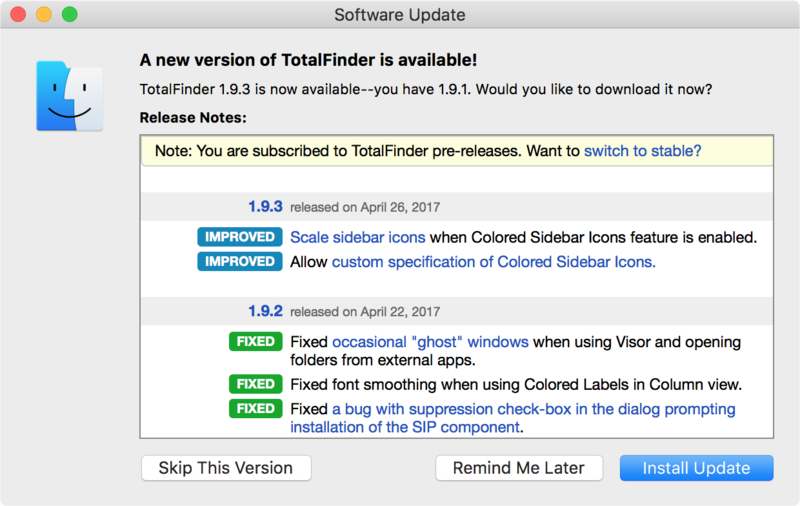 Please keep TotalFinder updated because it needs to follow potential changes in Apple's Finder.app closely. You might also help by participating in testing beta releases. Thank you. 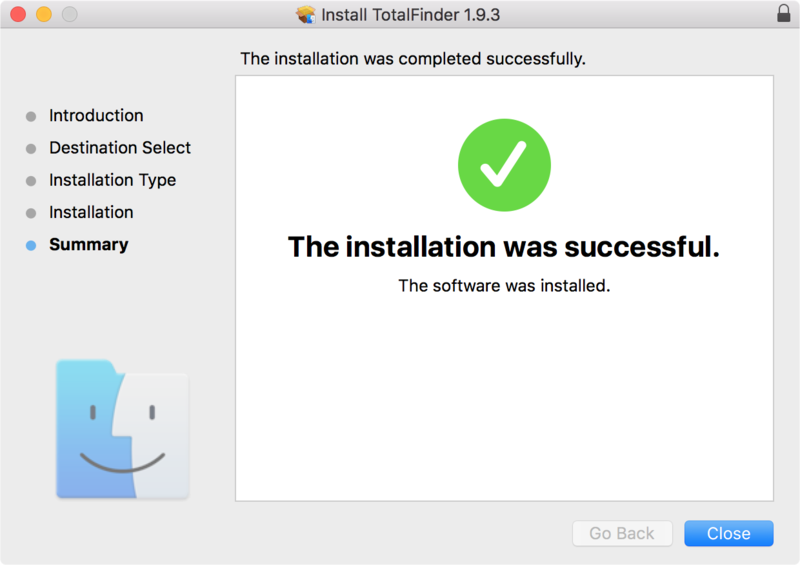 By default, the installer puts TotalFinder.app into startup items to be launched during login. This ensures TotalFinder is loaded into Finder when you start the system. 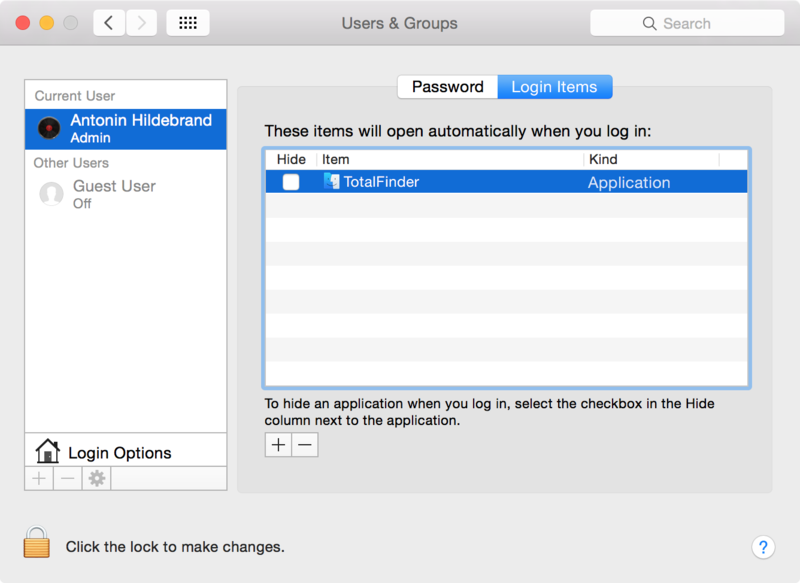 You may remove TotalFinder.app from your login startup items to prevent TotalFinder from launching at startup. For removal please read the uninstallation page. Note: You may safely remove the TotalFinder plist file or remove any values inside. TotalFinder will re-create it with default values when restarted.